We are known for providing FUE procedure done in Andhra Pradesh with extreme care by adopting the internationally recommended standards and processes. The follicular unit extraction method is the most advanced and reliable solution for treating the baldness of any level. During the procedure, we take out the single follicles from the donor area and plant it in the recipient area so before understanding about the procedure, there is need to understand the concept of donor and recipient area. It is also called the affected area. In this area, the person has either no hair or less hair and it is affected by the DHT means the responsible factor for baldness. The portion of the recipient area depends on the extent of problem patient to patient. Generally, men have a crown area as bald area and women have hair thinning problem so for them most of the part of scalp work as recipient area. Initially the patient book a free consultation with us and then on the day of the appointment we do digital scalp analysis to evaluate two basic things that are essential for surgery. First is extent of baldness inpatient and how much density is required to give the completely natural look. The temporary hairline is drawn to estimate graft number requirement. Secondly, the density of donor area hair follicles is calculated under the digital scalp analysis. Hair follicles are evaluated to know about their loss resistance and then out of them generally 65% is selected for the transplantation. Even Dr Vijay Kumar examines the best health of the patient and his medical history to prevent any unfavourable conditions. Before the surgery patient is given some instructions so that our experienced team can get the most feasible results after treatment. The patient is asked to stop smoking, alcohol consumption, blood thinners, tobacco before 7-10 days of surgery as these can adversely affect the results. If the patient is taking any hypertension, diabetes, thyroid medicine then he may continue it but must be informed to the surgeon before surgery. The patient is asked to have complete rest before the surgery and to take nutritious diet instead of junk or spicy food. WHAT HAPPENS ON SURGICAL DAY? On the surgical morning, patient’s head is washed and local anesthesia is applied for painless and comfortable surgery. With the micro punches of having the diameter less than 1mm, hair follicles are taken out from the safe zone of the scalp as per the determined count. This process is done with extreme care so that scars, pain and any infection can be reduced. After one hour of surgery, the patient can take a short break for refreshment and even in the middle of surgery lunch break is also done. Could have been easier with a fixed hair transplant cost in Andhra Pradesh, but there are many factors that influence hair transplant techniques, especially FUE hair transplant in India and worldwide. An FUE hair transplant technique requires a good assessment by the surgeon to fully determine the extent of hair loss, the number of hair grafts needed and the amount of work to deploy on the scalp. Grafts estimation mostly depends on the expertise of the surgeon and the magnifying eye to extract the right amount of hair follicles and to avoid wastage. The cost of FUE hair transplant in Visakhapatnam is a common question since FUE is a trendy hair restoration surgery that offers maximum results. Comparing the FUE cost in India to other countries like Canada, Australia, Turkey, and the USA, India offers more relief in terms of cost. Generally, we uphold cost-effective hair transplant services in India than many other countries. What is cost of FUE Hair Transplant? Generally, FUE is a standardized method which is less invasive. 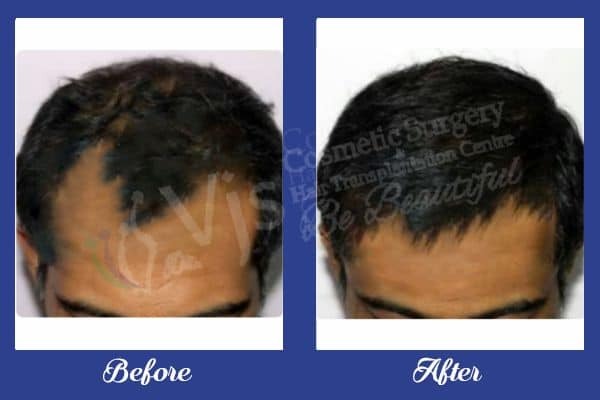 The modern technique continuously sets hair transplant costs apart because of its wide range of services such as Direct Hair Transplant, robotic hair transplants, and BIO-FUE. FUT can provide more hair grafts in a short time, but FUE will also provide more grafts using various methods like body hair transplant. The more hair grafts needed, the more one has to pay for grafting. Graft extraction cost in FUE is normally high. You will need to look at the below FUE Hair Transplant Cost in India before you turn anywhere else for the procedure. Any of the above-mentioned cost may be altered depending on the surgeon’s assessment of a patient. That means that it may reduce or increase, but the standard and results of the hair transplant technique remain the best.